First off I emailed a question and received an immediate intelligent response. 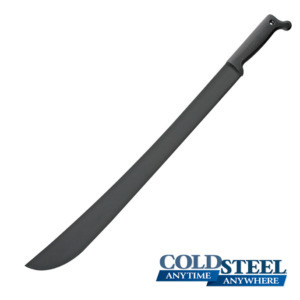 Second this 5 pack is an amazing deal and will cover every Machete need I will ever have on my property each Machete is a no frills workhorse with easily maintainable steel, also the edge they arrive with was just fine for limbing and easily sharpened further for brush and weeds. Also my receipt had a hand signed reply to the msg. that was attached to my order. This company is a true American Winner. First off I emailed a question and received an immediate intelligent response. Second this 5 pack is an amazing deal and will cover every Machete need I will ever have on my property each Machete is a no frills workhorse with easily maintainable steel, also the edge they arrive with was just fine for limbing and easily sharpened further for brush and weeds. Also my receipt had a hand signed reply to the msg. that was attached to my order. This company true American Winner. Basic brush cutters. What moar do you expect?